WhatsApp Messenger is a very famous and widely known is a cross-platform mobile messaging app. It has more than 250 million active monthly users, which means a ver strong user base. But they have some healthy competitors who are about to capture market. 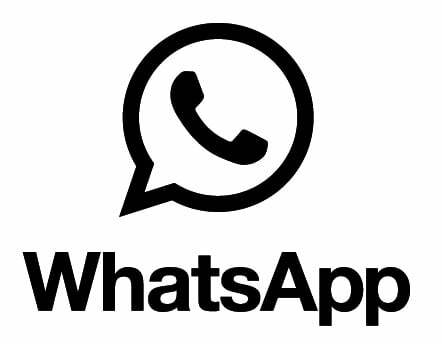 One best feature of WhatsApp is that it integrates with your existing phone address book and there’s no need to log in and out as you are always connected. If you miss a push notification, messages can be saved offline for later retrieval, and other features include location sharing, contact exchange, custom wallpaper, custom notification sounds and much more. For those who are unable to have WhatsApp or looking for some other messaging apps can try any of the following alternatives. A famous and widely known alternate to WhatsApp is WeChat, a mobile text and voice messaging communication service. WeChat provides free texting, voice messaging, broadcast messaging, photo/ video sharing and location sharing. WeChat is supported on Wi-Fi, 2G, 3G, and 4G data networks. WeChat has over 300 million users already. WeChat gives you live chat option, backup and restoring chat history and an option to invite your friends to a WeChat group chat via QR code. A new communication app for instant messaging which is available on both smartphones and PCs across multiple carriers and operating systems including iOS, Android, Nokia Asha, Windows phone, BlackBerry, Windows and Mac. It allows you to make free voice calls and free messages. 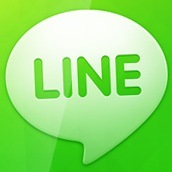 Line has reached 200 million users worldwide by July 21, 2013. Line has been ranked no. 1 in the free app category in 52 countries including Japan, Thailand, Taiwan, Spain, China, Indonesia, Singapore, Hong Kong, Malaysia, Switzerland, Saudi Arabia, Mexico, Russia, Macau, United Arab Emirates and many more! Some of the highlighted features are multi-platform, optional address book syncing, real-time confirmation for messages sent and delivered, sharing photos, videos, music and more, sending current or any specific location, sending stickers and emoticons to friends, Bulletin boards (up to 100 people at once) for groups, adding friends through NFC by shaking their phones, direct Pop-out message box for easier reading and replying, and many more! BlackBerry Messenger (BBM) is an instant messenger and video telephony app that allows messaging (and video calls for BlackBerry 10 smartphones) between BlackBerry users. Making video calls over Wi-Fi or the mobile network on BlackBerry 10 smartphones, sending and receiving messages with unlimited length, choosing a personal BBM display picture and status, Real-time confirmations on messages delivered and read, sharing photos, videos and more with multiple contacts at once, adding contacts by scanning QR Codes, Sending music files, Free Calling BBM contacts over Wi-Fi, etc. are some of the features offered by BBM to its users. The news is BBM may be available on Android / iPhone in few months which is really a fab news for BBM enthusiasts. 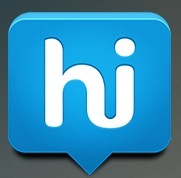 Hike is an instant messaging app for Android that lets you chat for free with any other user of the service. It has recently crossed 5 million user base. Hike has added three new features which include adding stickers, walkie-talkie, last seen and ability to message friends when they’re offline. Day by day the competition among these apps is getting more intense, let’s see who takes the no. 1 position in instant messaging. Many of you have already used these apps, so please share your valuable comments with us.